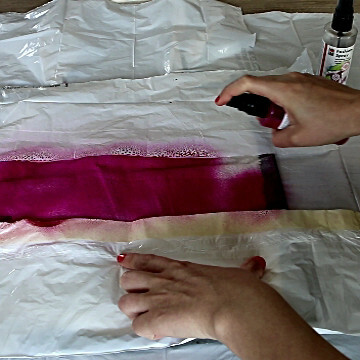 If you want to make things a bit more involved, check out this post on how to make a tote bag out of a shirt. If, on the other hand, you are looking for an easy fix without the hassle, opt for getting the cheap canvas tote above instead. Start by setting up your work area. You’d want to open a window or two to keep the room well ventilated. Grab a couple of large plastic bags and cover your work surface. 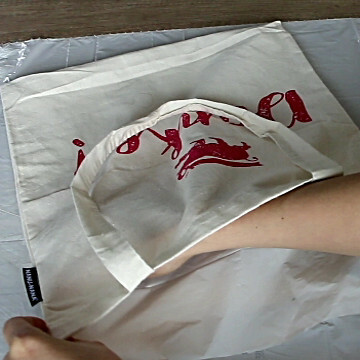 Then, use a piece of plastic bag and insert it in the canvas tote. This will prevent the paint from leaking through the canvas and staining the other side of the bag. 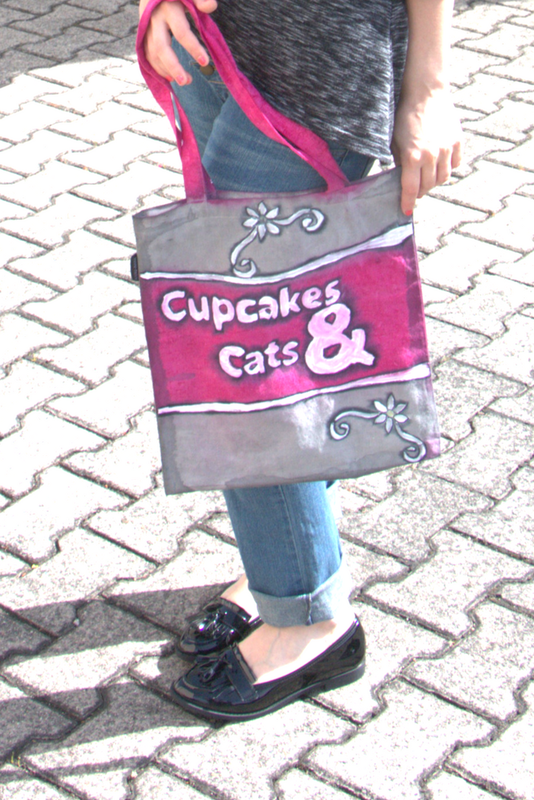 Use pins to cover the top and the bottom part of the tote. 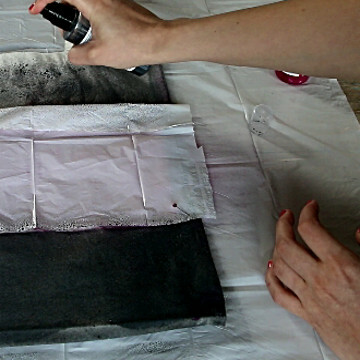 Spray paint the mid section and the straps of the bag with the clothing paint. 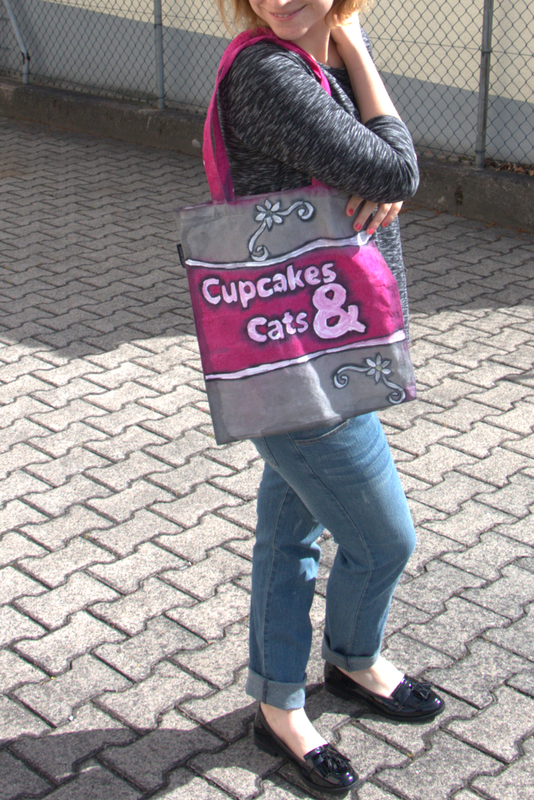 Then, cover the mid section and the straps of the tote and use a different color to spray paint the top and the bottom of the tote. 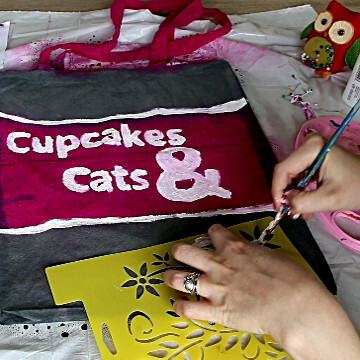 While the paint is drying, print in large letters whatever message you’d like to decorate your DIY bag with. 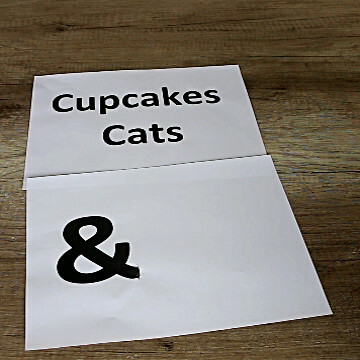 I picked “Cupcakes & Cats” as, I’ve got to admit, I love both. Any funny message will work – “Baileys & Ballerinas”, “Donuts + Mimosas”, or whatever else gets you going. Make sure to use the largest possible font so the inscription is easily visible. For example, I used landscape page layout, 150 font for the words, and 250 font for the “&” symbol which I displayed on a separate sheet. 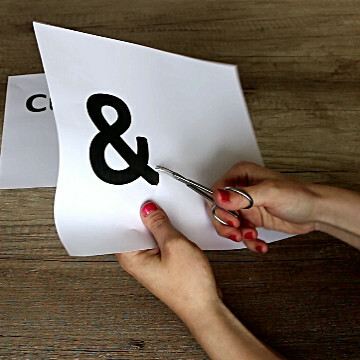 Use small scissors to cut out the letters and pins to attach the paper onto the tote. Don’t forget to also attach the small stand alone circles for letters like “e” and “a”. 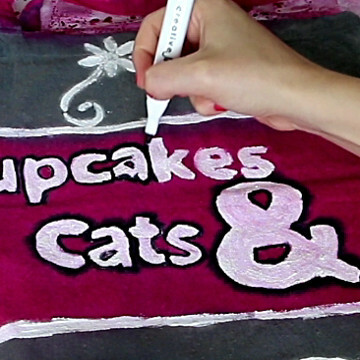 Grab some fabric paint and fill in the letters. 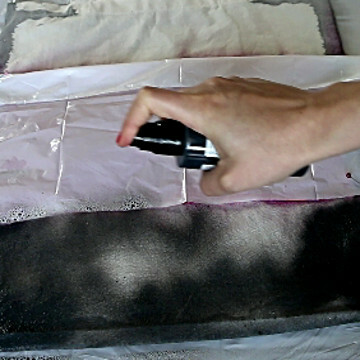 Then, remove the sheets of paper and carefully fix any out of place paint spots and uneven edges. You can also draw a rectangle around the inscription to make it pop even more. 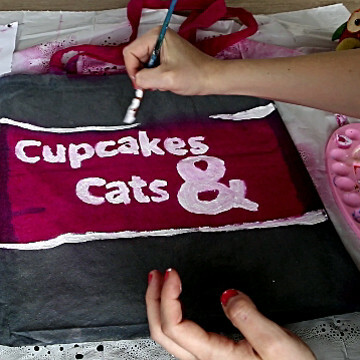 If you have stencils or if you want to make some yourself (by printing cool graphics), you can add additional decoration to this funny tote bag. 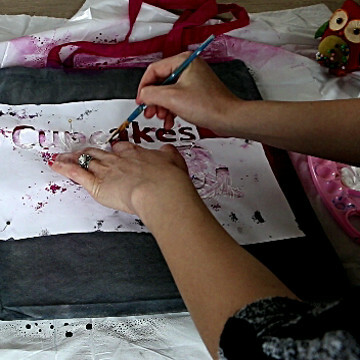 Finally, use a black marker (ideally a fabric one) to trace all the letters and shapes on the DIY bag. 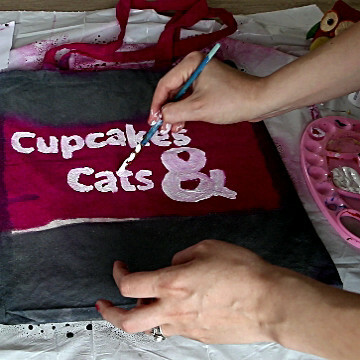 Let the paint dry and enjoy this very easy and very cute tote bag decoration!